Will YOU Survive the Zombie Apocalypse? 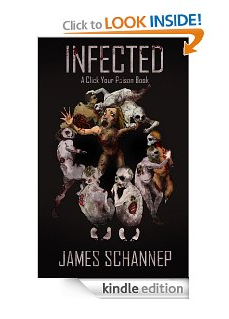 Read more about INFECTED. Can YOU Solve the Mystery? Read more about MURDERED. What if YOU Had Superpowers? 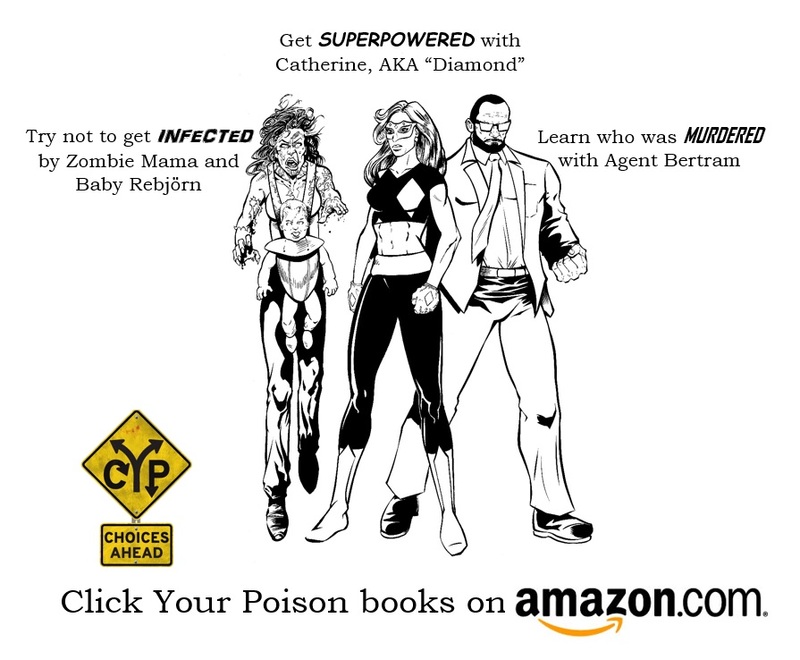 Read more about SUPERPOWERED. Welcome to the future of interactive reading. Like the gamebooks popular in the 1980s-90s (Choose Your Own Adventure, Give Yourself Goosebumps, etc), this is a series where you choose how to progress through the book. Unlike other choose-your-path books, this series is designed specifically for adults. Why Click Your Poison? Here’s how it works: You, Dear Reader, are the main character of this story. Live or die, win or lose, based solely on the merit of your own choices. Each link represents a choice, and there’s no going back, so choose wisely. This series was created to work seamlessly on ereaders, but I do go back and make them backwards compatible for a paperback. Call the hardcopy “Flip Your Poison” or “Pick Your Poison,” I don’t care. But it was first envisioned as an electronic medium, and so that way the title remains. How an interactive ebook works.